Title" New Year Garnish & Clams "
Akiko was born in Kochi Prefecture in 1903 (36th year of the Meiji era). She studied the Shijo style painting under Kato Eishu. She was accepted for the Inten Exhibitions for three times. She won the prizes at the Exhibitons of Hyogo Prefecture twice and also won other important prizes. She lived in Uji city in Kyoto Prefecture. 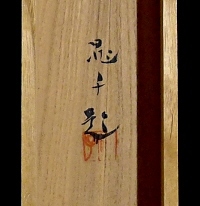 There are spots and stains to some extent on the mounting. There are some spots on the drawing part. 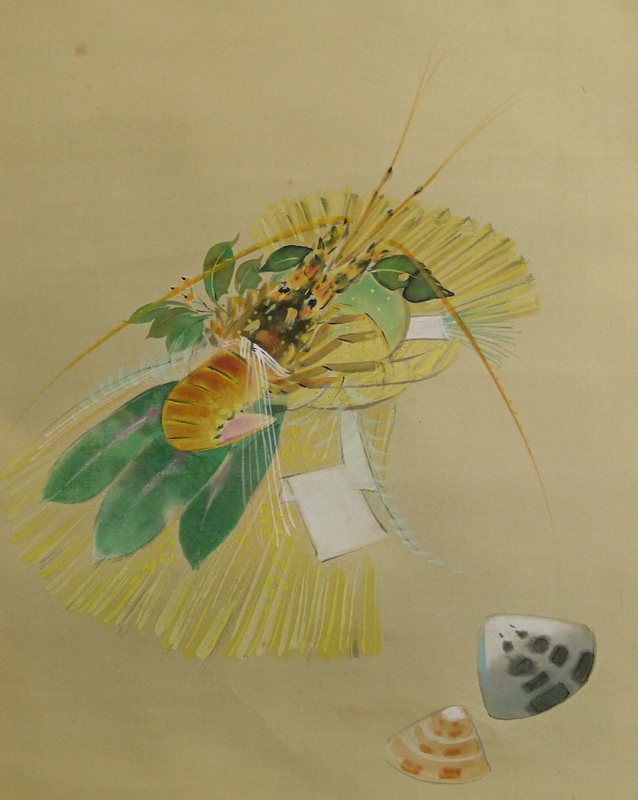 The motifs of this painting are a Japanese traditional garnish for new year (Shime-kazari) and Hamaguri clams. These are considered as fortunate things for new year. The Shime-kazari consists of Ise-ebi shrimp, straws, Sasa bamboo leaves and others.